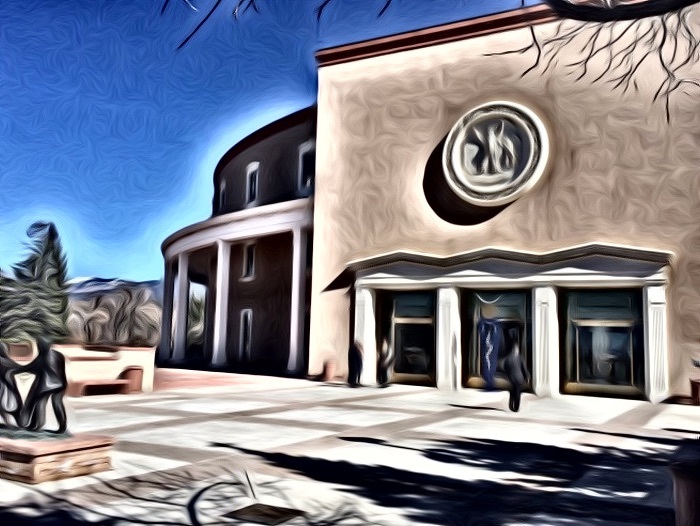 The fundraising data is in, and incumbents rule both the NM House and Senate races. Incumbents of the party that controls each respective chamber, that is. On Thursday, we detailed fundraising and spending in the 42 state Senate races through July 2, with incumbents and Democrats leading. Similarly, in New Mexico’s hotly contested races for control of the State House, incumbents and Republicans lead. Here’s a look at what candidates for 70 House seats have raised, spent, loaned and have in the bank as of their July 2 reports. This data covers reports in 2015 and 2016, and includes cash they had on hand at the beginning of 2015. The next report won’t be filed until September 12. Scroll over the map below to get details for each race. Incumbents account for 70 percent of the $3.7 million raised in 2015-16, 80 percent of the $1.8 million spent and 73 percent of the $2.5 million in the bank as of July 2. Republicans lead in fundraising with nearly $2.2 million compared with almost $1.6 million for Democrats. The GOP took control of the House in the 2014 elections for the first time in 60 years. Democrats are trying to win the chamber back. House Majority Leader Nate Gentry is the big money guy for the GOP, having raised more than $415,000. His opponent in Albuquerque’s House District 30, Democrat Natalie Figueroa, has raised almost $50,000. Of the 70 House seats, 42 nominees have no opposition. Yet those 42 candidates have raised nearly $985,000 all told. Four of those seats are open, the rest are held by incumbents. The most competitive district is House District 23 where Democratic challenger Daymon Ely, of Corrales, has raised more than $151,000 to GOP incumbent Rep. Paul Pacheco’s more than $93,000. But Pacheco has spent less, with more than $112,000 in the bank at the beginning of the month, compared with about $108,000 for Ely. The small-time spenders? Ronald Krise, the Democratic challenger to GOP Rep. Lorenzo Larranaga in Albuquerque’s District 27 has raised nothing to Larranaga’s nearly $65,000. Two unaffiliated candidates aren’t required to file reports until the general election. And Republican Neal Hooks reports receiving $25, plus a $1,600 loan. Hooks, who is challenging Democratic Rep. Bill McCamley in Las Cruces’ District 33 hasn’t reported any spending, though he reports having $221 in the bank. Contributions in our data include in-kind donations, i.e. supplies or services others donated to a campaign. Those aren’t included in the Secretary of State’s contribution sums. Loans are broken out separately here, because they are often loans by the candidate to themselves. On the Secretary of State’s site, they’re included in contributions data. This data encompasses all filings in 2015 and 2016. Some of the contributions and spending for incumbent senators includes money from late 2014 and through 2015. Many incumbents may have balances that appear larger than their total contributions. The cash on hand reflects money incumbents had in the bank before the first 2015 filing date.